The Witchqueen of Neshia-Ysania has placed the commander of your armies under a powerful curse! You must find the means to break it before it takes his life! New Premium Epic Battle Available ONLY during The Witchqueen's Pall until September 22nd at 12:00PM PDT. 5 Challenging difficulties are available to provide challenge and reward to all sizes of players! Grab your clan and take on Basnath the Painweaver. 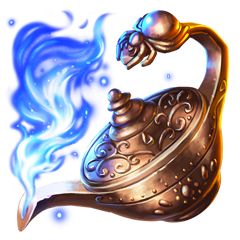 To start Basnath the Painweaver you will need to use the required number of Hygor's Lamp which can be purchased in the Defense Section of the Marketplace for 5 Nobility Points each. 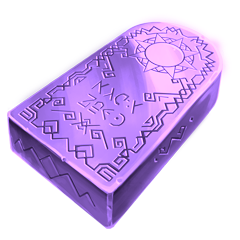 If your clan manages to complete this Epic Battle players will be rewarded with Solaureate Ingot, Sanctified Blacksalt, Katthras Herb, and if you're lucky, Basnath's Box. Solaureate Ingot drops as a reward from every Epic Battle completed during the event, with Basnath the Painweaver having the greatest drop rate. Players can go to the marketplace to purchase Witch-hunter Greaves, and enchant it through to earn Godly Witchbreaker Cuisses! How do I level up my Equipment from 0-10? Great question! Increasing Equipment Levels will only be available AT THE END OF THE EVENT. 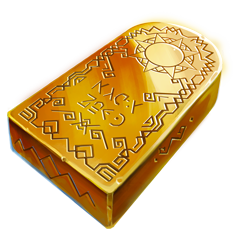 Each level increase will cost 1 Empowering Solaureate Ingot which is available as a reward at the end of the Event. A New Chest dropping from Basnath the Painweaver! To open this box a key is purchasable from the marketplace MAX ONCE EVERY 24 HOURS. 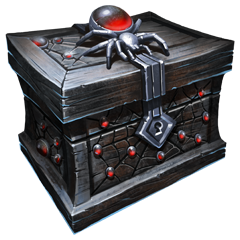 The value of rewards from the box is always greater than the 25 Nobility cost of the key, though rewards are random. Check out the Legend Tab for more details! Is this new eb just recycled old man eb? Why should we just keep spending when the app isn't being maintained,there's that much crap in our inventory we can't even tell what's what anymore,also get some new servers. Bxx__aNaCondUa__xxH wrote: Why should we just keep spending when the app isn't being maintained,there's that much crap in our inventory we can't even tell what's what anymore,also get some new servers. The only thing the Devs are interested in now is the $$'s no interest in their product. I don't want to spend a dime on some eb that I may not be able to hit because the server is down. Is there going to be any war rewards?? ?